CRIME, GUNS, AND VIDEOTAPE: Dillinger, The Story You Never heard. Crown Point IN— Lillian Holley was a 42 year-old attractive mother of twin daughters. She was a recent widow after her husband, the local Sheriff was killed in the line of duty. This feisty gal found herself appointed to fill her late husband’s shoes as the top law enforcement officer of Lake County. 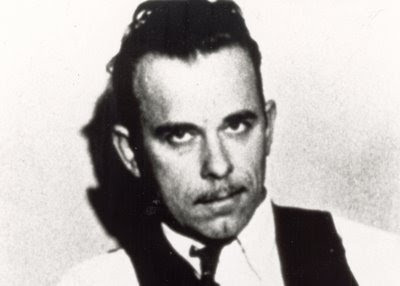 Popular celebrity bank robber John Dillinger was creating a legend for himself as he victimized America’s most hated businesses during the Great Depression, the banks. Handsome and glib Dillinger had a special way with the women. In one particularly regrettable bank heist an East Chicago, Indiana cop was murdered by the Dillinger gang. They were now gunning for, Public Enemy Number One. 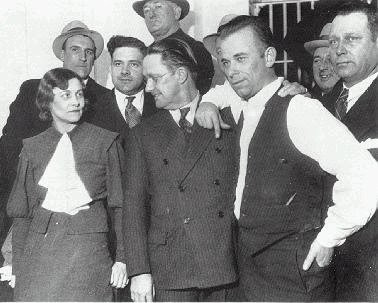 In the swank Congress Hotel of Tucson, Arizona Dillinger was captured and extradited back to Lake County, Indiana to face trial for capital murder. The Crown Point, Indiana reception committee included the Lake County Prosecutor and Sheriff Holley. They were not camera shy as they shared the media spotlight with the dashing murder suspect. While waiting for his trial Dillinger escaped. There is the official story of that event and then there is the truth. 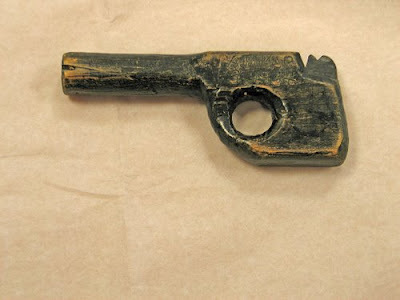 The fake wooden gun covered with shoe polish was manufactured after the escape as part of a cover-up. The reality was that Sheriff Holley was smitten by the cunning killer. As Sheriff she could and did visit him in the jail she ran under her own terms. The Sheriff’s home was the actual front of the Lake County Jail. The two were alone and soon nature took its course. Holley was in love! Holley arranged for the jail staff to be in the most favorable position and delivered a loaded Colt 1911 .45 ACP semi-automatic to her new lover. Holly also gave Dillinger the keys to her very nice 1933 Essex automobile. Holley’s lover would never face the gallows. Of course there is that story that Dillinger’s lawyer was the mastermind of the break out. Don’t believe it. Holley was well liked and they covered up the lonely Sheriff’s indiscretion. The girlfriend Dillinger was dating at the time of his killing was Polly Holliday. At the same time Holliday was married to a Gary, Indiana cop! The famous “woman in red”, Anna Sage had accompanied both Dillinger and Holliday as an FBI informant before the FBI and East Chicago, Indiana cops gunned the famous fugitive down. There are more pictures and misinformation right here.